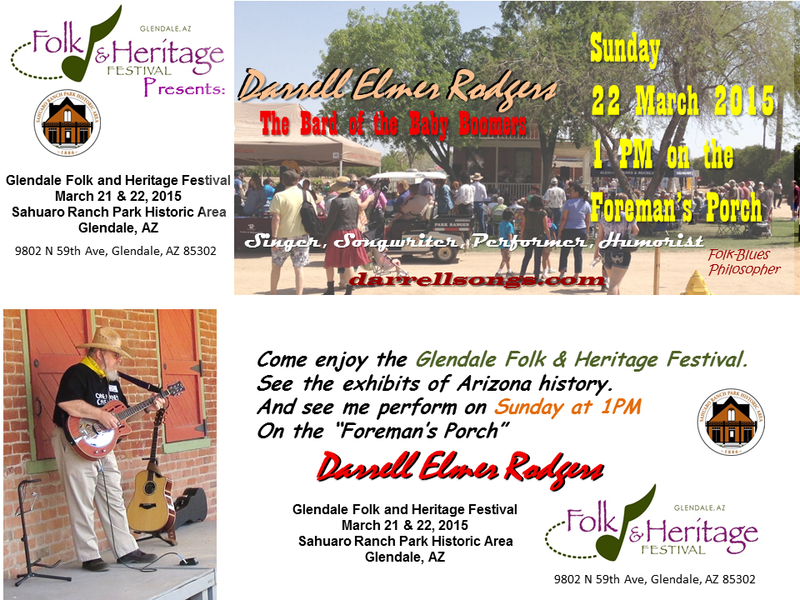 March 19 – Glendale Folk & Heritage Festival, 4 PM on Maintenance Shed stage with bassist Rick Heyman. May 1 – Tucson Folk Festival – 3:30 PM on the La Cocina Stage at Old Town Artisans – a TRIO performance including Michael Parker on Drums and Phil Anderson on bass. It’s a 40-minute set so there’s time for a good number of songs including my newest. 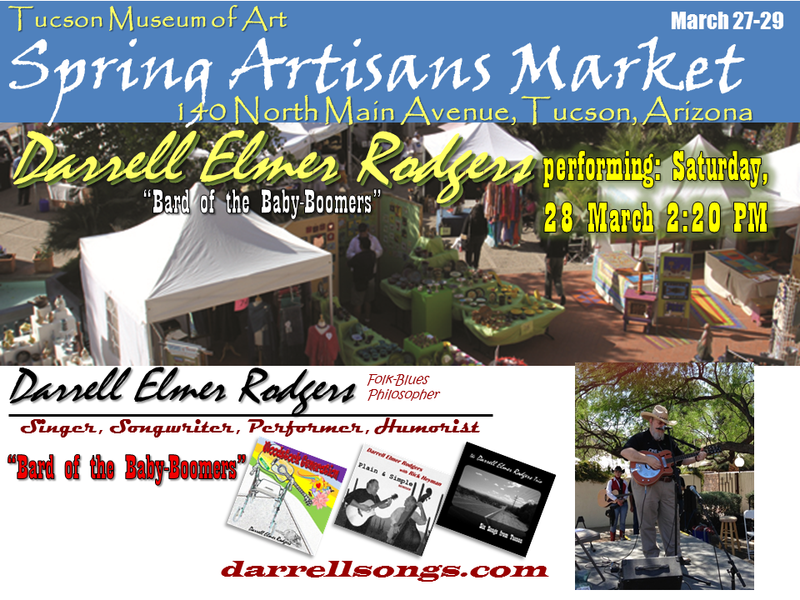 May 2, Saturday 3 PM – Darrell Elmer Rodgers Trio – Tucson Museum of Art Stage – 30th Tucson Folk Festival! 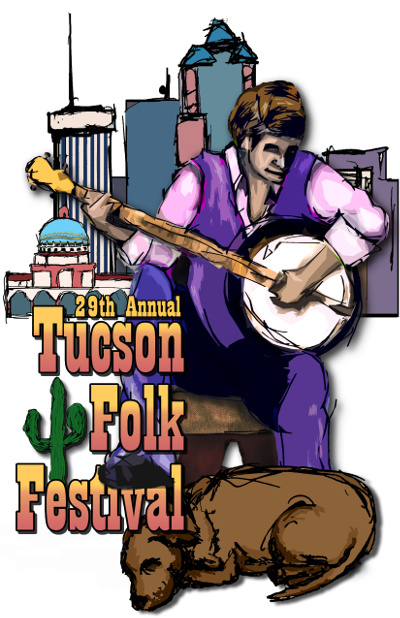 May 3 – 2014 Tucson Folk Festival !! – 5PM on the Courtyard Stage with the TRIO. June 17: “The Round House” at DRBI on Tuesday, at 7 PM with Lani Nash. are performing as a duo at the Glendale Folk and Heritage Festival on the “Maintenance Shed” stage on SUNDAY, 24 March at 11AM. 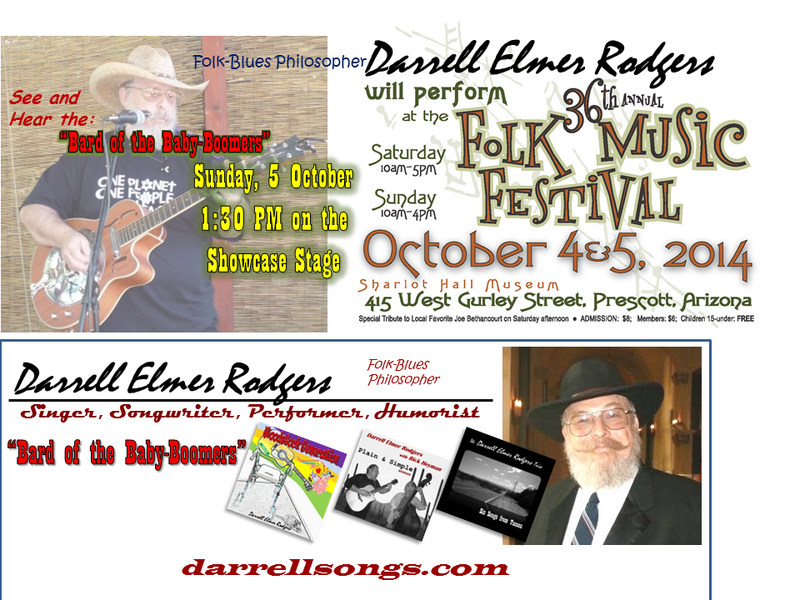 May 4 & 5 – 2013 Tucson Folk Festival !! 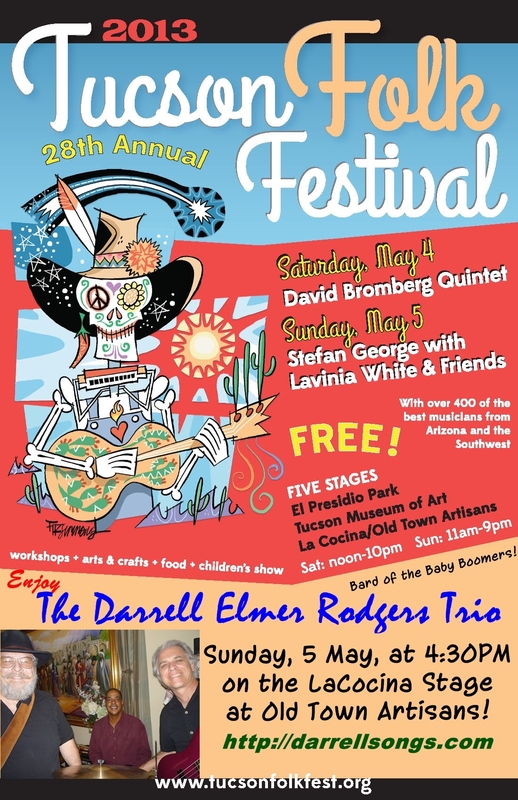 – The Darrell Elmer Rodgers Trio will perform 4:30 PM on Sunday, May 5th on the La Cocina Stage (At Old Town Artisans). The poster to the right is my own edit. 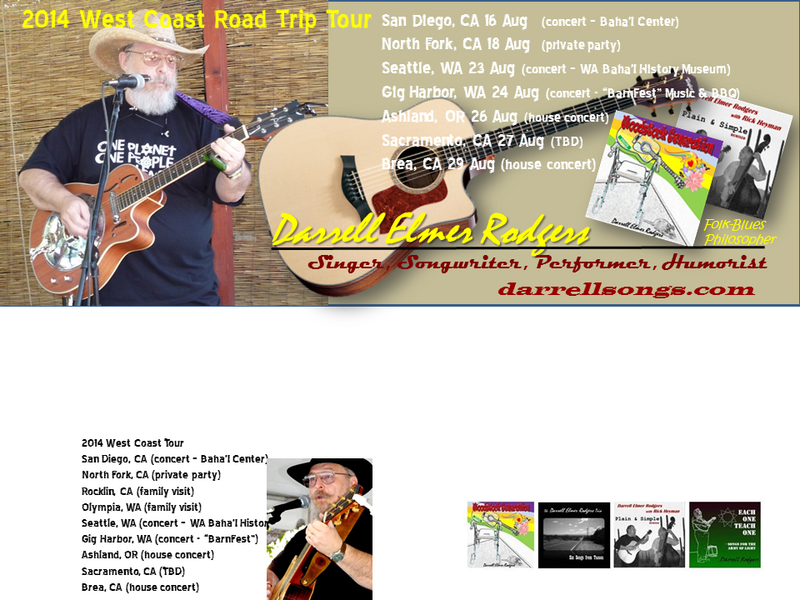 The official poster will have our Folk Festival sponsors listed where you see my gig. I love our sponsors but couldn’t resist taking advantage of the early draft poster! December 11, Wednesday 6-9PM – Monterey Court – Songwriter’s Showcase with Ron Pandy, Eb Eberlein, Dan Hostetler and about seven other songwriters! 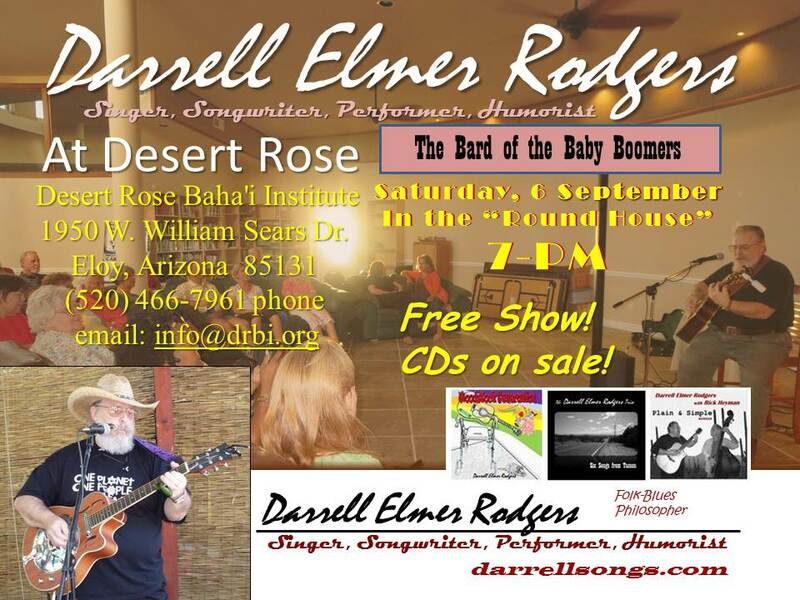 Nice Darrell, first time visitor, long time listener. Thanks for giving your talents to educate others.